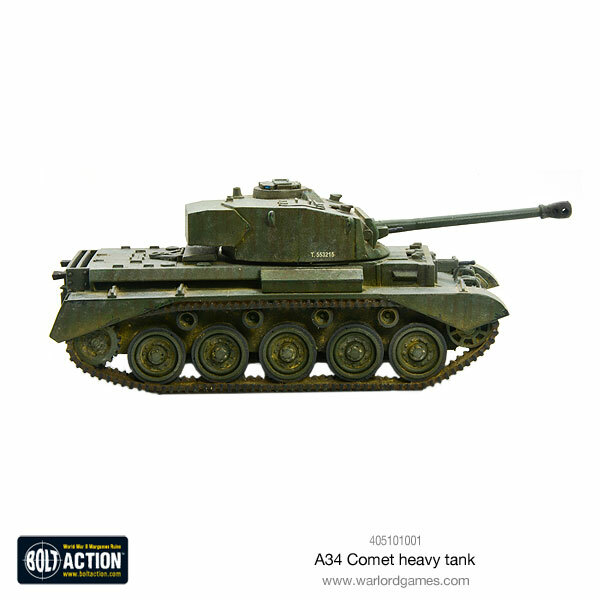 The Comet in many ways was an up-rated Cromwell, retaining its low silhouette and improving on both armour and armament. 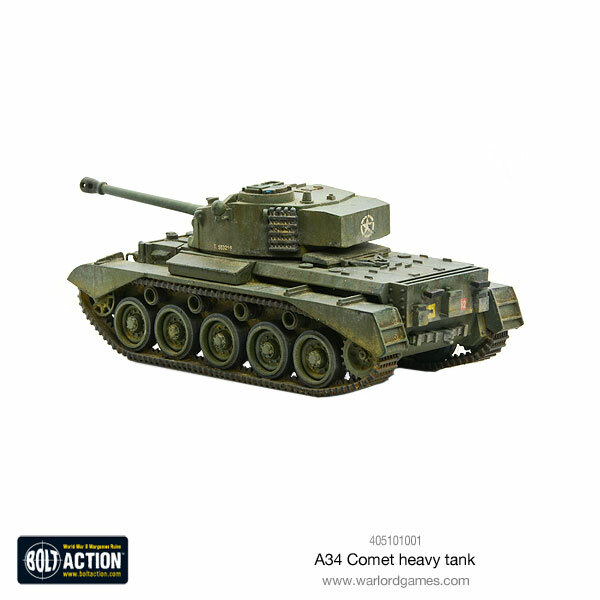 It had more than 4 inches of frontal armour – the same as the much heavier American Pershing tank. The top speed of the earlier Cromwell had been widely praised, though it caused a number of problems in practice, including suspension failures and thrown tracks during high speed turns. To prevent these problems the Comet’s speed was governed to 32mph, though it was still faster than many of its contemporaries. 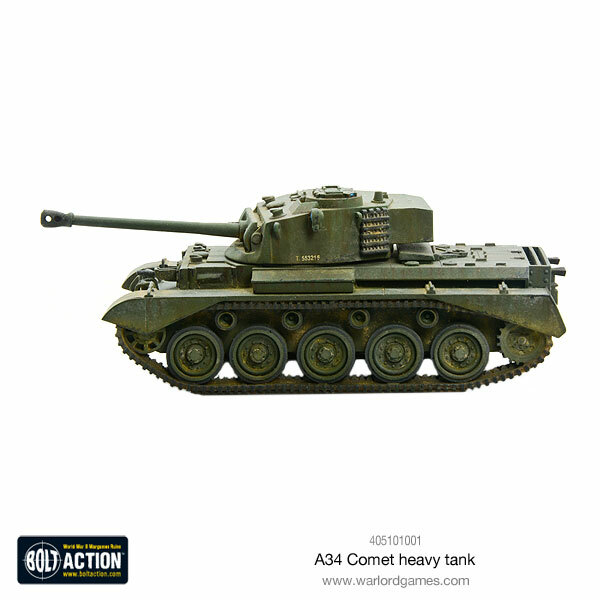 The Comet’s gun was a new weapon derived from the 17-pdr and it was the same calibre (76.2mm), it was officially known as the 77mm high velocity (HV) to avoid confusion between the two types. 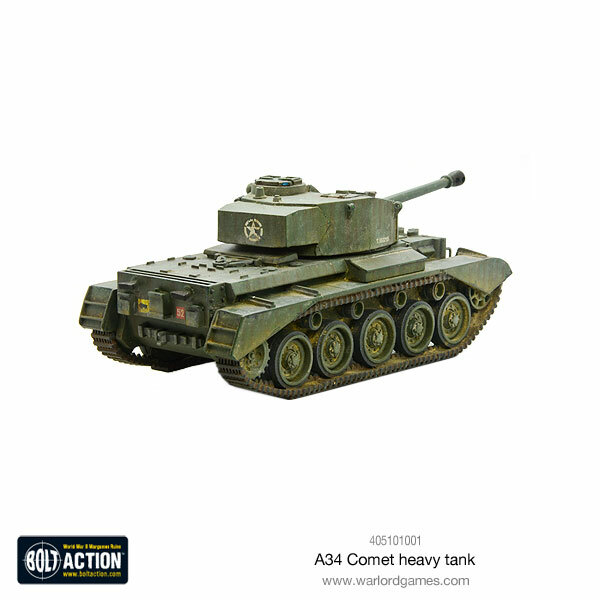 Comets were issued to front line units in December 1944 and fought in Germany after the Rhine crossing. Cost: 355pts (Regular), 426pts (Veteran).